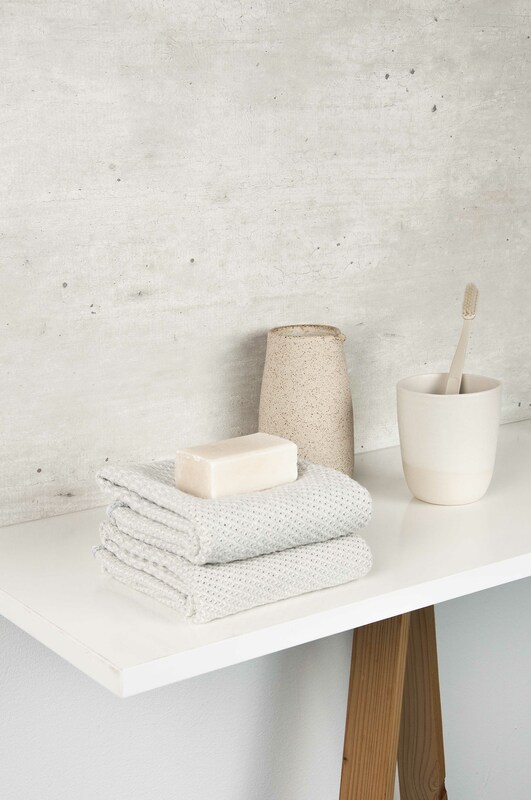 A towel to dry your face with after a quick rinse with foam and water. Reaching for the towel with your eyes closed. Your finger tips finding the soft cotton yarns. Hastily grabbing the cloth to push it in the corners of eyes to let the fiber take all the water. Leaving you confident enough to open them without letting the soap irritate. You look at yourself in the mirror while you wipe off the remainings of the foam. You take a damp towel and dap it on the sides of your cheeks. The cotton has worked its natural advantages on you. 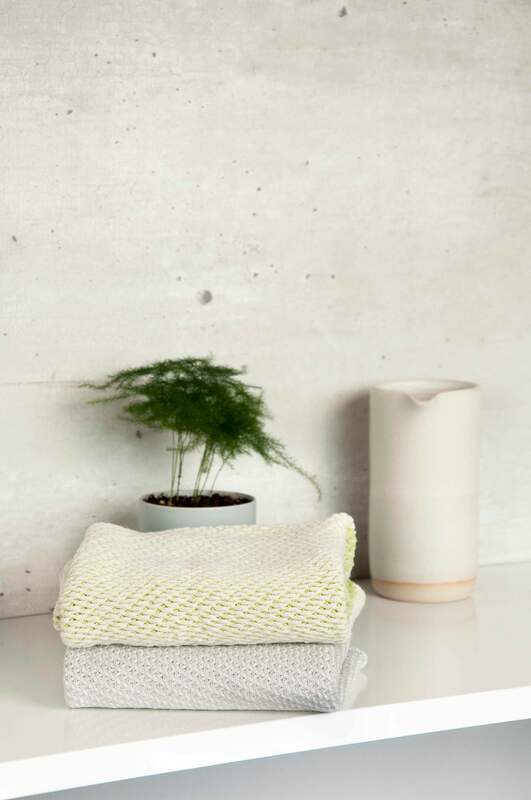 The structure of the 100% cotton yarn absorbs the drips of water left on your face. 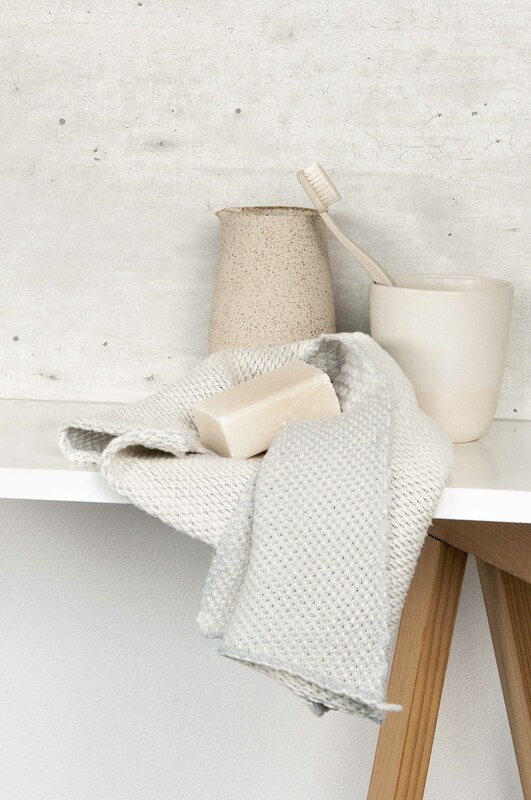 Now the towel is left to dry, to get ready for the next face wash.
For these images, shot by our own studio, we used products from Annemieke Boots, Hay x Jordan, Sissy boy and Dille&Kamille. 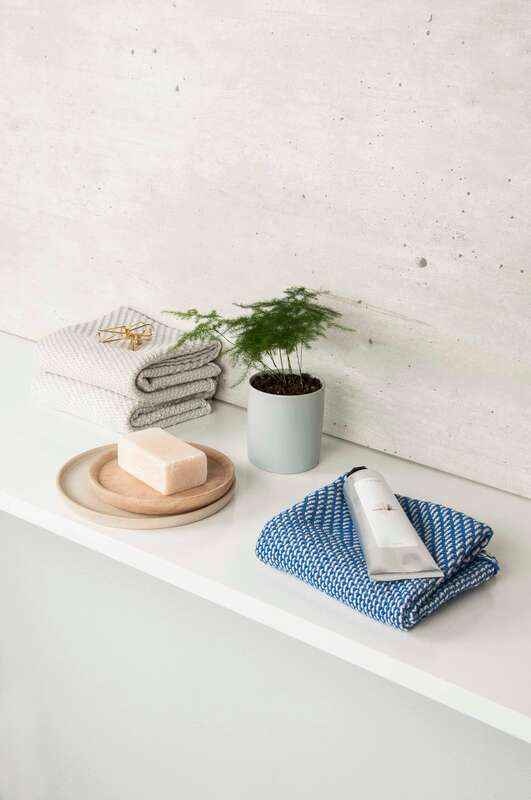 Skin care brand owner, Sara Rosalie explains why our cotton textile is good for your daily facial cleanse. Read the article here: Skin care secrets with Sara Rosalie.